Tech accessories are so hot right now and they make a perfect gift for a teen or adult for Christmas! When you make an investment in an iPad, tablet, or computer, it's important to protect that investment. Doing it in style makes your investment a bit more fun! During Cyber Week at More Than Paper, popular designs for your tech devices are 25% OFF. These are guaranteed to arrive before Christmas! iPad covers by Kelly Hughes Designs are 25% OFF. We love the eco-friendly materials and huge selection of designs. 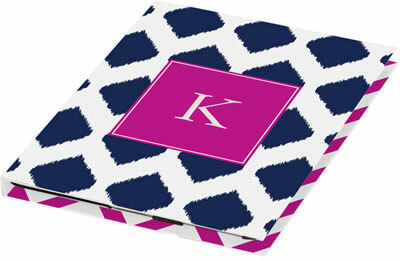 There's something for everyone and we love the modern take on personalizing and monogramming. 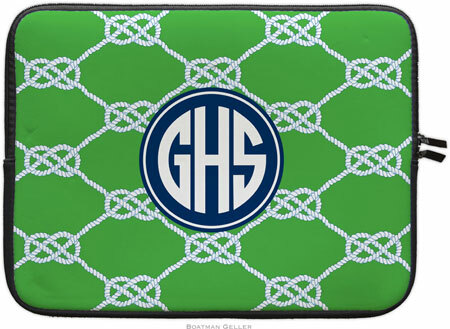 Preppy Boatman Geller designs to protect your laptop are also 25% OFF. This nautical green design is just $30 (normally $40.) See all of our laptop sleeves on sale here. When you make an investment in your technology, it makes sense to protect it, doesn't it? A personalized cover or case adds personality to your device AND ensures its longevity. What's your favorite style? Be sure to check out all of our tech accessories here.